It is possible to work in Canada while you are here as a student. In some cases, you will need to apply for a student work permit. You need a Social Insurance Number (SIN) from Service Canada to work in Canada or to receive benefits and services from government programs. To apply for your Social Insurance Number (SIN), to obtain a confirmation of your SIN, or to amend your SIN record, simply gather all the required original proof of identity documents and take them to the nearest Service Canada point of service. If everything is in order, you will get your SIN during your visit. There is no fee to apply for a Social Insurance Number (SIN). On March 31, 2014, Service Canada began issuing SINs in paper format (confirmation of SIN letter). Production of the plastic SIN cards has stopped. Original proof of identity documents are required to apply for a SIN; photocopies are not accepted. If your study permit has: This permit does not permit the holder to engage in off campus employment in Canada, printed on it and you have changed your program of study, you must apply to change the conditions of your study permit and pay the applicable fee. 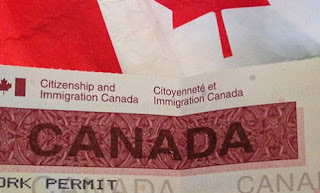 As of February 2, 2015, Citizenship and Immigration Canada (CIC) is no longer issuing confirmation to work off campus documents. If you were previously issued a confirmation to work off campus document by CIC, you may continue to present it to Service Canada in order to apply for a SIN. Note: If you provide an email address on your application, please ensure you check it regularly for automated emails from CIC regarding your case. Some spam filters block these emails, and clients are requested to ensure emails from CIC are not blocked. If you are unsure whether emails from CIC are being sent, please check your myCIC account on a regular basis. Please follow steps 2 to 4 below. The package includes the application guide and all the forms you need to fill out. Download the application package. Read the guide carefully before you complete the application form. Photocopy the blank forms and use one as a working copy. Keep the working copy for your records. The application form contains instructions. Read those instructions and be sure to provide the required documents. If information or documents are missing, your application may be delayed. The document checklist in the application kit will enumerate the documents that you need to include. Answer all questions carefully, completely and truthfully. Answers can be typed or handwritten (print clearly in black ink). Incomplete applications will not be processed. They will be returned to you. This will delay the application process. There is no processing fee for this work permit. The application kit contains the mailing address where you must send your application. The PGWPP allows students who have graduated from a participating Canadian post-secondary institution to gain valuable Canadian work experience. Skilled Canadian work experience gained through the PGWPP helps graduates qualify for permanent residence in Canada through the Canadian Experience Class (CEC). A Post-Graduation Work Permit cannot be valid longer than the official length of your program of study in Canada. For example, students graduating from a four-year degree program might be eligible for a three-year year work permit. Students graduating from an eight-month certificate program would only be eligible for a work permit of eight months. have previously been issued a Post-Graduation Work Permit following any other program of study. If you are a foreign student who recently graduated in Canada, you likely have the qualities to make a successful transition from temporary to permanent residence. You are familiar with Canadian society and can contribute to the Canadian economy. You should have knowledge of English or French and qualifying work experience. You may be eligible to apply to stay in Canada permanently under the CEC. In immigration guidelines, it is common that certain amount of education and experience is necessary to be eligible to move to a country. Everybody dreams of living or moving to different countries. Canada, which is rated as number 1 for quality life, is a dream of lots of professional. There is one good news for working professional as it increases their chances of moving to Canada. 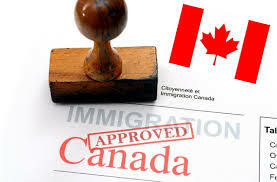 They can avail work experience degree from the leading online institutes to qualify or pass the eligibility for moving or immigrating to Canada.